On Saturday my God-daughter Katharine married Pete - they looked so happy they actually sparkled! 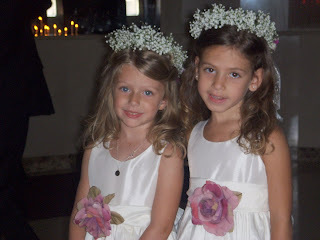 Skylar was one of the two flower girls. Just nine months ago she was the flower girl for Katharine's sister Kristi...We're thinking of renting her out. Any interest? Oh, is this legal?